Combine photos using gradient transitions. Its iOS companion, Photo Blender, is available in the App Store. Check out the iOS version for your iPhone, iPad or iPod Touch, Photo Blender, here. PhotosBlender is a Mac app for combining photos horizontal, vertical or square using gradient blending at the seams where they are joined. Each made with PhotosBlender to exhibit how "blending margin size" affects the blended image. • Blends photos to create photomontages. • Blends vertical, horizontal or square. 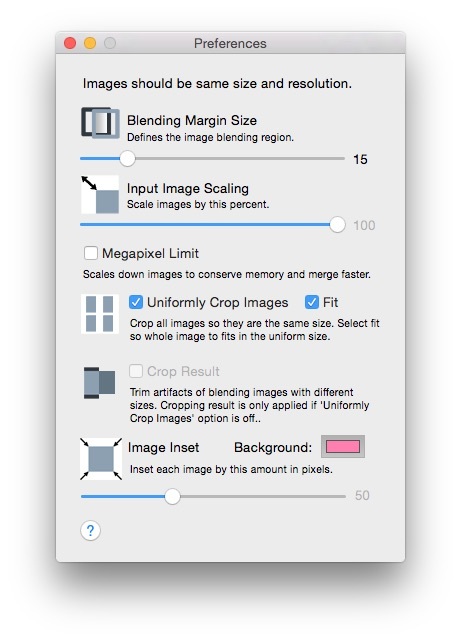 • Scale or crop photos to fit a single uniform size. • Variable blending gradient or overlap. • Save results to disk or the clipboard. PhotosBlender works best when the photos are similarly sized and have the same resolution. 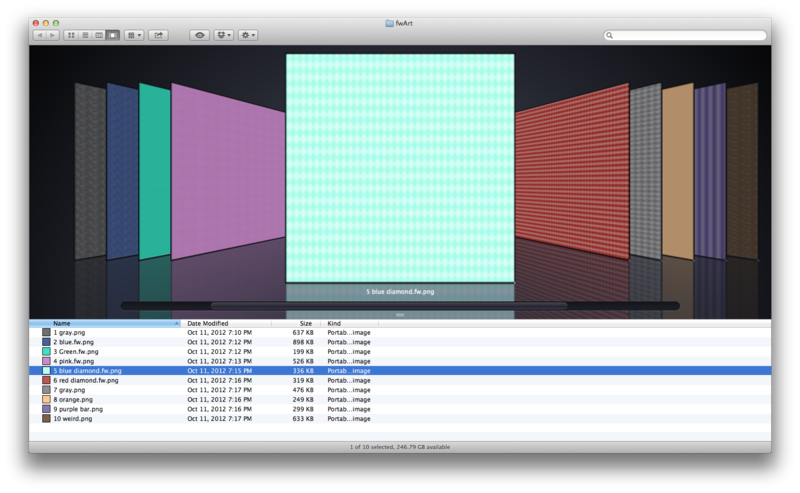 1 - Locate the files you want to blend in the Finder or iPhoto. 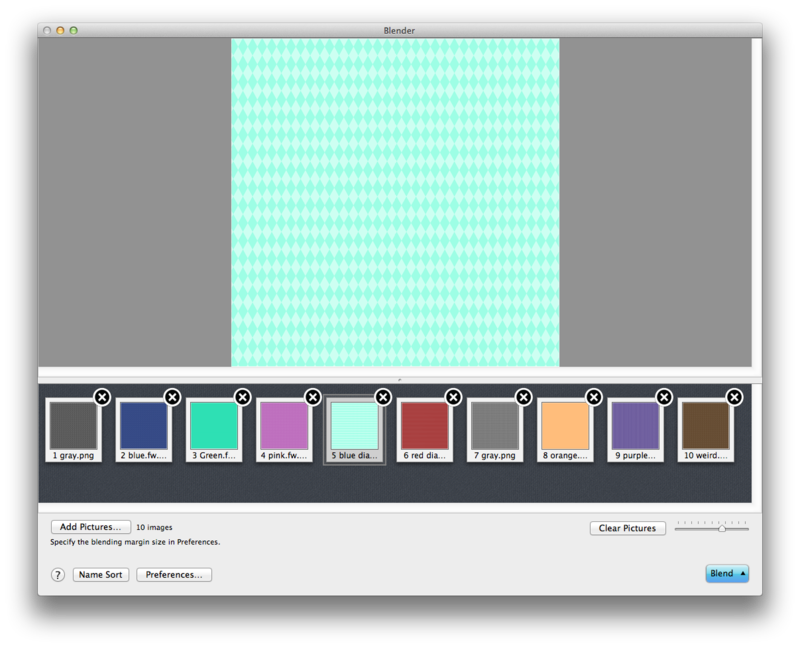 2 - Drag the files you want to blend into the Blender window's "photo browser" at the bottom. Each file you add will have a small "X" on it to remove it from the browser, or you can just select it and click the delete button. Files are blended in the order they appear in the browser. Drag and Drop the files in the browser to reorder them. They are ordered by name by default. 3 - Photos are blended using a blending gradient. You can choose the width of this gradient in the Preferences window. 4 - Use the "Blend" button in the lower right corner of the window to blend the photos. Click down and hold for the popup menu to display for other options. To obtain the menu for selection of the vertical blend option simply click down on the Blend button until it appears. 5 - When the blending is completed it will appear in the "Result" window. You can now copy the result to the clipboard or export it to a file. If you want to create "arrays" of blended photos simply blend your photos horizontally first, saving each result, and then blend these results vertically. In other words, you can blend your blends. Or, you can create square blends that are 2x2, 3x3 or 4x4 using the "Blend Square" option in the Blend popup menu as long as the number of photos is 4, 9 or 16 resp.